I am blessed to call this client a great client and a better friend! Our first lease transaction on her behalf was in 1991…and we have never looked back! Thank you Linda Bauermeister! HAGER PACIFIC PROPERTIES RETAINS JEFF TABOR GROUP TO REPRESENT THEM IN THEIR OFFICE LEASE RENEWAL/RELOCATION NEGOTIATIONS! 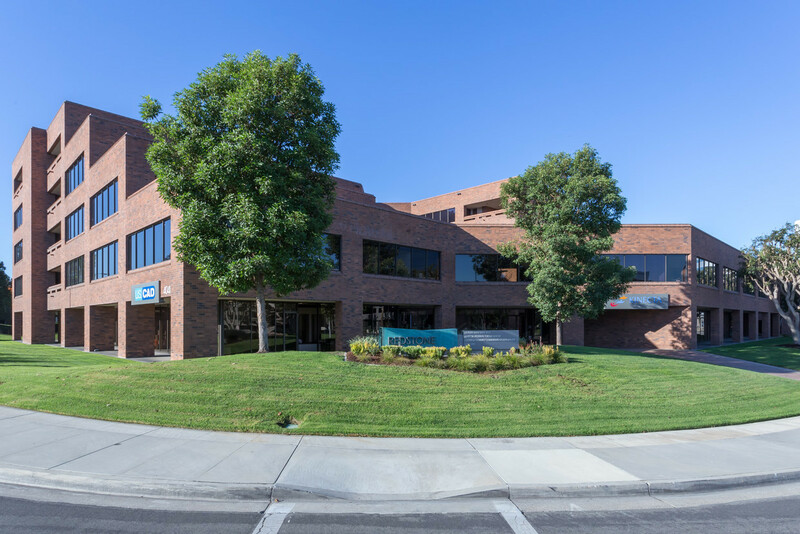 We are happy to announce that Hager Pacific Properties, private real estate investors specializing in acquiring, rehabilitating and repositioning properties, has engaged Jeff Tabor Group to represent them on their office lease negotiations! Thank you to Mr. Robert Neal for your trust and support! I am very excited to share the attached! Just received last week. 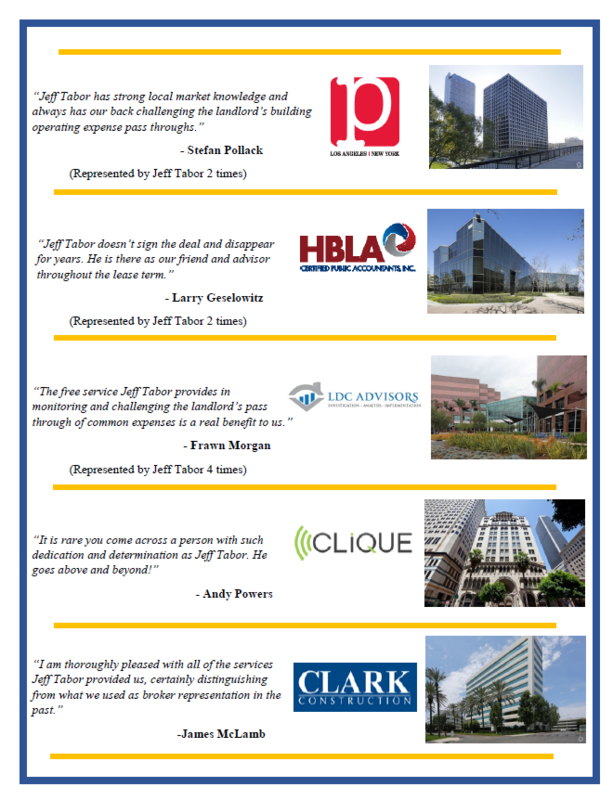 The Jeff Tabor Group continues to dominate the competition in representing law firms! No one else comes close! 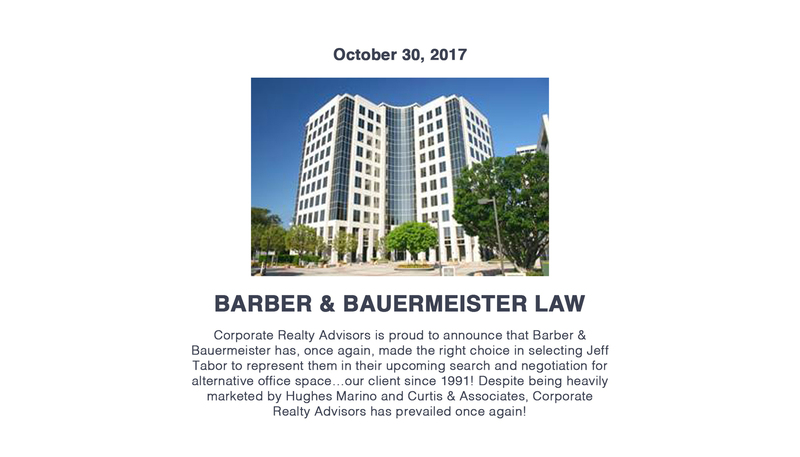 HINMAN LAW GROUP HAS RETAINED THE JEFF TABOR GROUP TO REPRESENT THEM IN THEIR OFFICE LEASE RENEWAL/RELOCATION NEGOTIATIONS! I am very proud to announce that Hinman Law Group, a prestigious personal injury & employment law firm, located at 4510 E. Pacific Coast Highway in Long Beach, California, has engaged the Jeff Tabor Group to represent them on their office lease negotiations! Thank you to Mr. John Hinman, for your support of our better tenant-only focused business model. 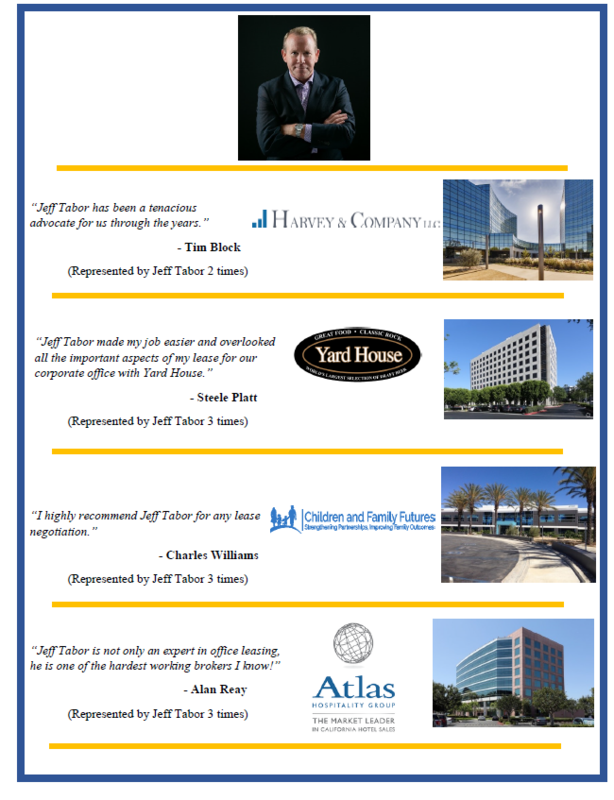 Jeff Tabor continues to dominate the competition in his representation of law firms in Southern California! LOANDOC SOLUTIONS HAS ENGAGED JEFF TABOR GROUP TO REPRESENT THEM ON THEIR OFFICE LEASE NEGOTIATIONS! 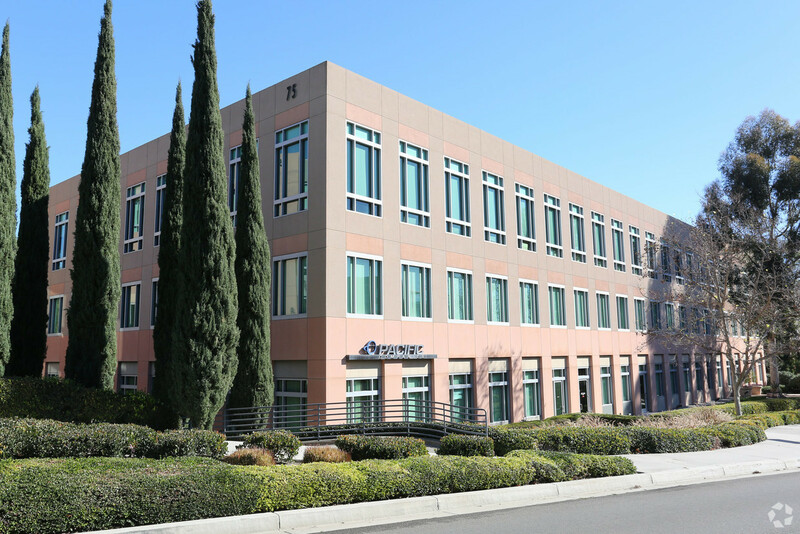 Jeff Tabor Group is pleased to announce that LoanDoc Solutions, a real estate consultant firm located at 19700 Fairchild in Irvine, California, has engaged us to represent them on their office lease renewal/relocation negotiations! Thank you to the President, Mr. Gary Highland for your trust and support! 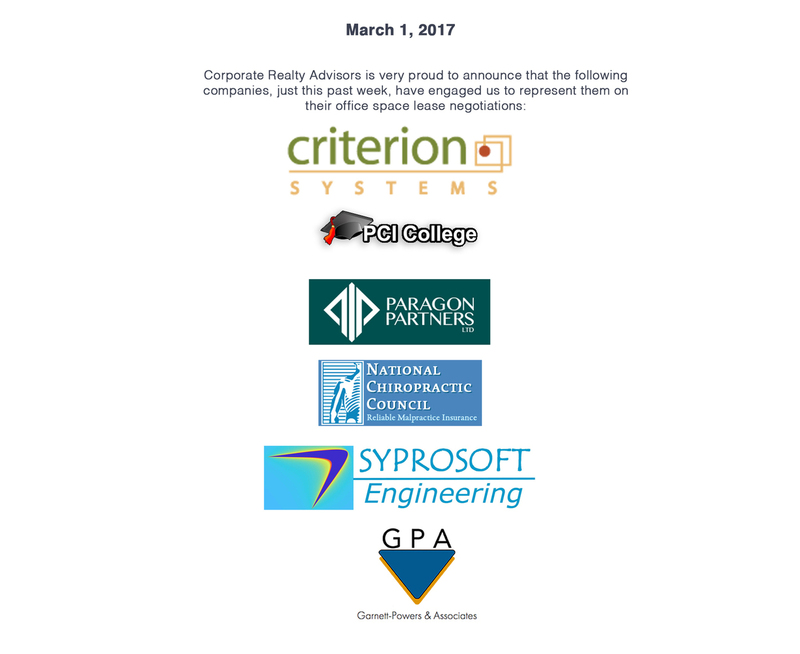 NEWPORT HARBOR RADIOLOGY ENGAGES THE JEFF TABOR GROUP! 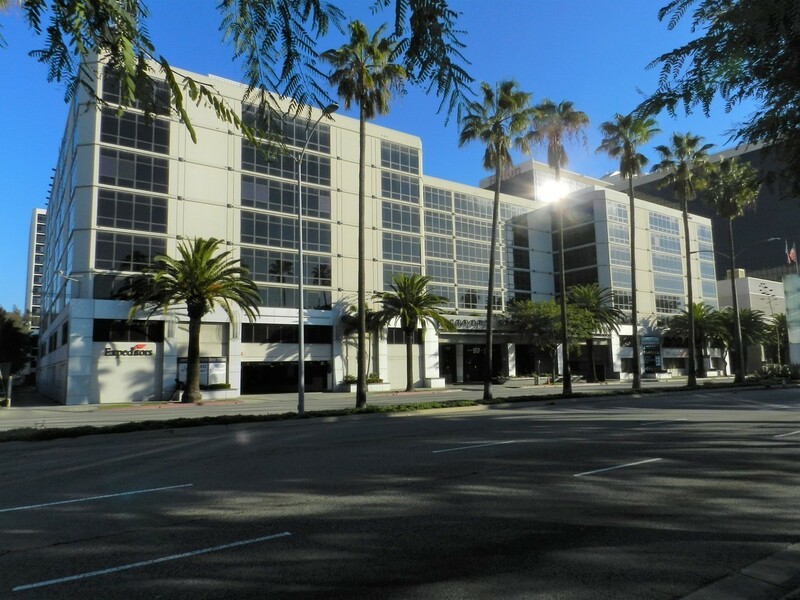 I am very proud to announce that Newport Harbor Radiology, the largest radiology group in Orange County, located at 4041 MacArthur Boulevard, in Newport Beach, California, has engaged the Jeff Tabor Group to represent them on their office lease renewal/relocation negotiations! Thank you to Newport Harbor Radiology's Chief Operating Officer, Mr. Michael Madler, for your trust and support! KLEIN, O'NEILL & SINGH, LLP RETAINS THE JEFF TABOR GROUP...FOR THE THIRD TIME! 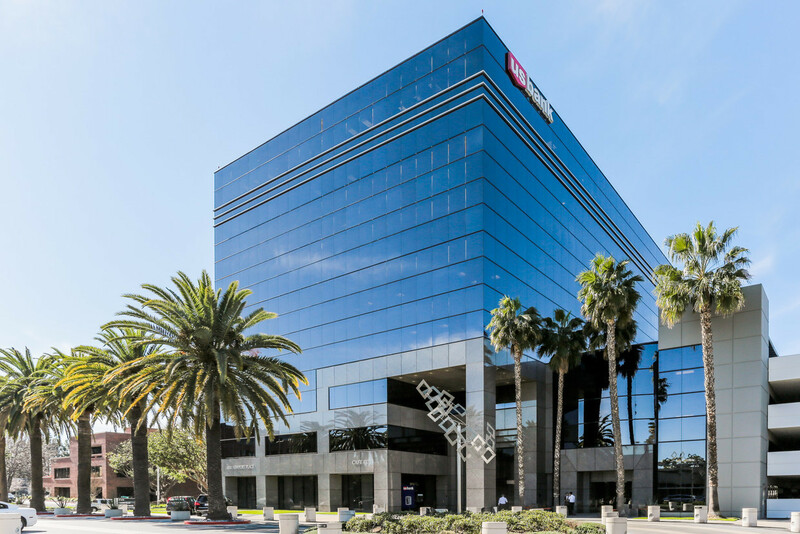 I am thrilled to announce that, for the third time, the Law Offices of Klein, O’Neill & Singh has retained me to represent them on leasehold negotiations with regard to their large Southern California office space! 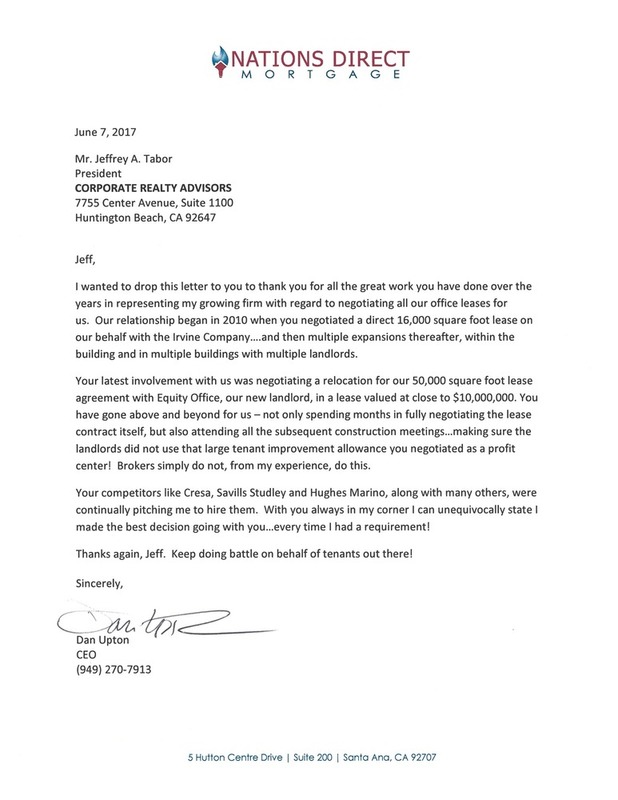 As the norm, many of my “competitors” were calling on our client (including CB Richard Ellis and San Diego based Hughes Marino) and our client rightfully stuck with the most proven tenant advisory firm in the Southland – the Jeff Tabor Group! A special shout out to Howard Klein, Tom Dao, TJ Singh and Daniel Cavanagh for your loyal support over these many years. TOOLE DESIGN ENGAGES THE JEFF TABOR GROUP! 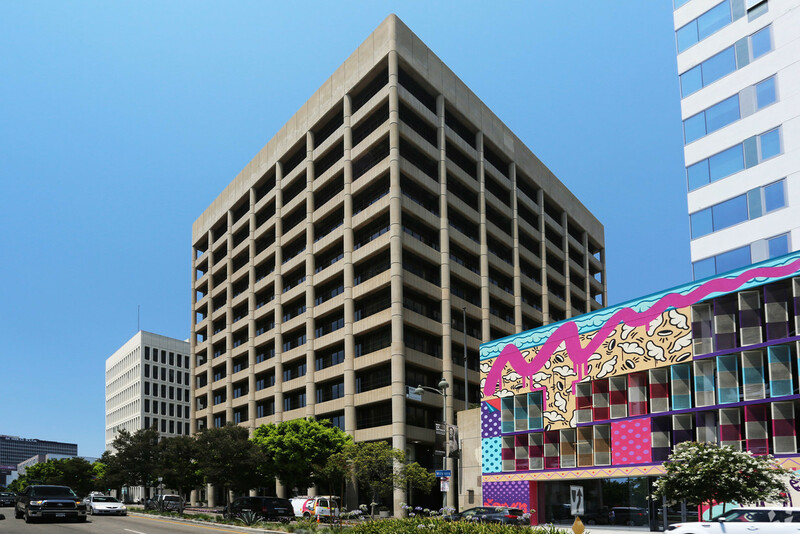 I am very proud to announce that Toole Design, located at 811 W. 7th Street in Los Angeles, California, has engaged me to represent them on their office lease relocation negotiations! Thank you to Southern California's Office Director, Mr. Nat Gale, for your trust and support! 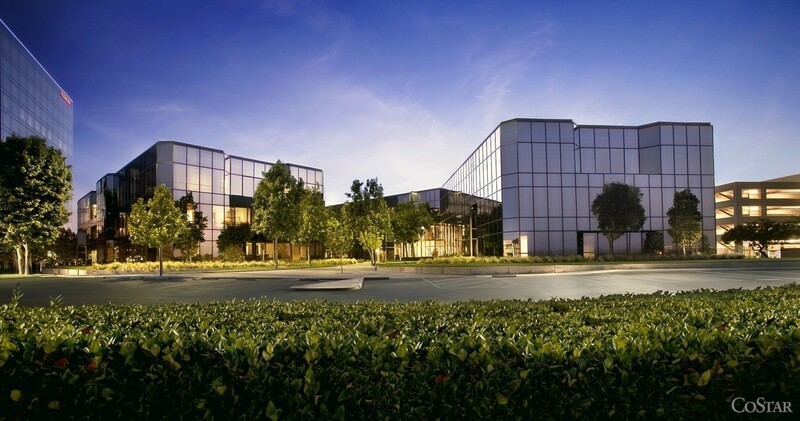 STETINA BRUNDA GARRED & BRUCKER HAS RETAINED THE JEFF TABOR GROUP TO REPRESENT THEM IN THEIR OFFICE LEASE RELOCATION! 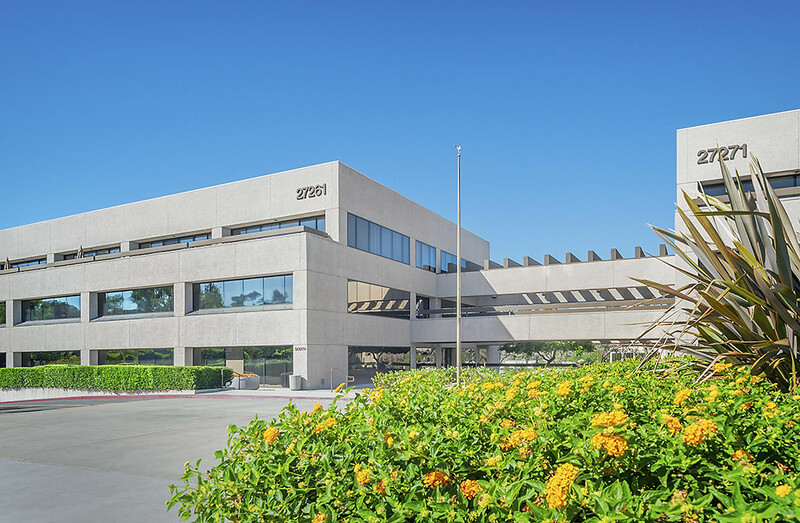 I am very proud to announce that Stetina Brunda Garred & Brucker, a prestigious patent, trademark and copyright law firm, located at 75 Enterprise in Aliso Viejo, California, has engaged the Jeff Tabor Group to represent them on their office lease relocation negotiations! Thank you to Mr. Matthew Newboles, for your support of our better tenant-only focused business model. 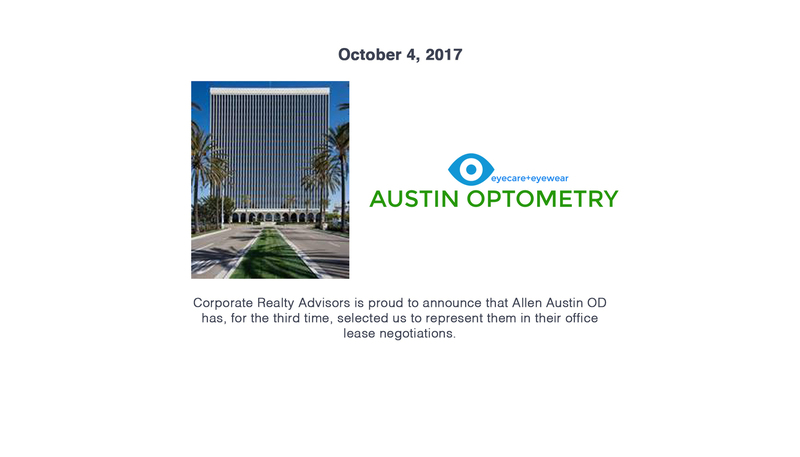 ODYSSEY RELOCATION MANAGEMENT HAS RETAINED JEFF TABOR TO REPRESENT THEM IN THEIR OFFICE LEASE RENEWAL/RELOCATION NEGOTIATIONS! I am very proud to announce that Odyssey Relocation Management, a business management consultant firm located at 27271 Las Ramblas in Mission Viejo, California has engaged me to represent them on their office lease renewal/relocation negotiations! 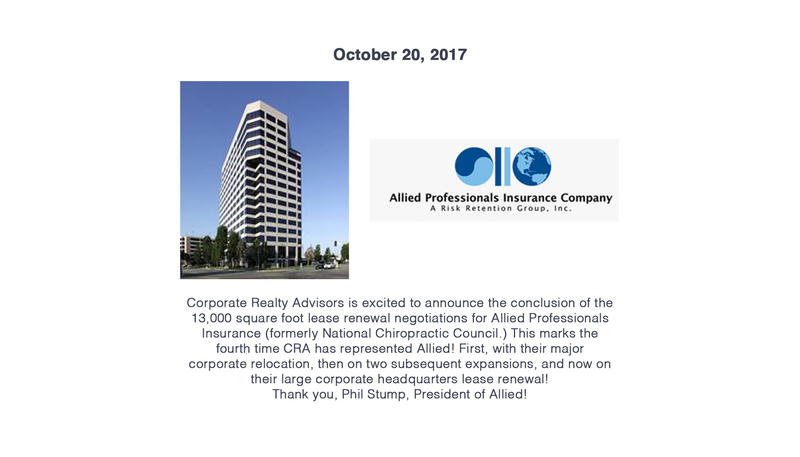 Thank you to the firm's President, Mr. Scott Carroll, for your trust and support! THE BEST TENANT REPRESENTATIVES IN SOUTHERN CALIFORNIA! Celebrating a resounding defeat of a so called “competitor” last week! 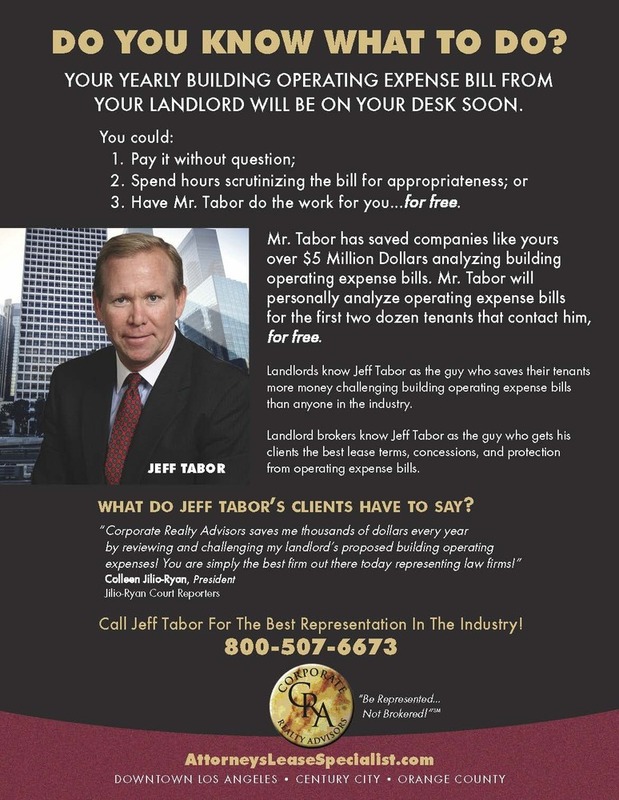 Jeff Tabor and the Jeff Tabor Group: REAL People. REAL Results. The REAL Deal! PRESSURE PROFILE SYSTEMS HAS ENGAGED JEFF TABOR TO REPRESENT THEM ON THEIR OFFICE LEASE NEGOTIATIONS! 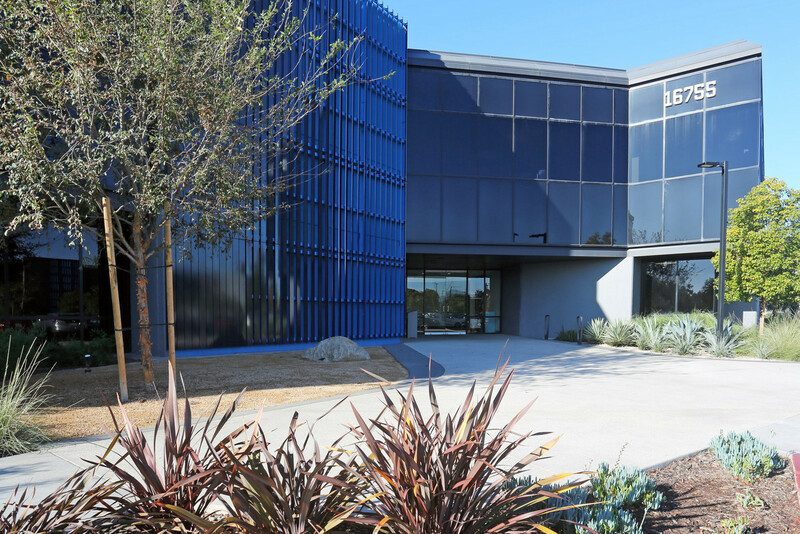 I am pleased to announce that Pressure Profile Systems, located at 5757 West Century Boulevard in Los Angeles, California, has engaged me to represent them on their 6,500 square foot office lease renewal/relocation negotiations! Thank you to the Chief Executive Officer, Mr. Jae Son, for your trust and support! 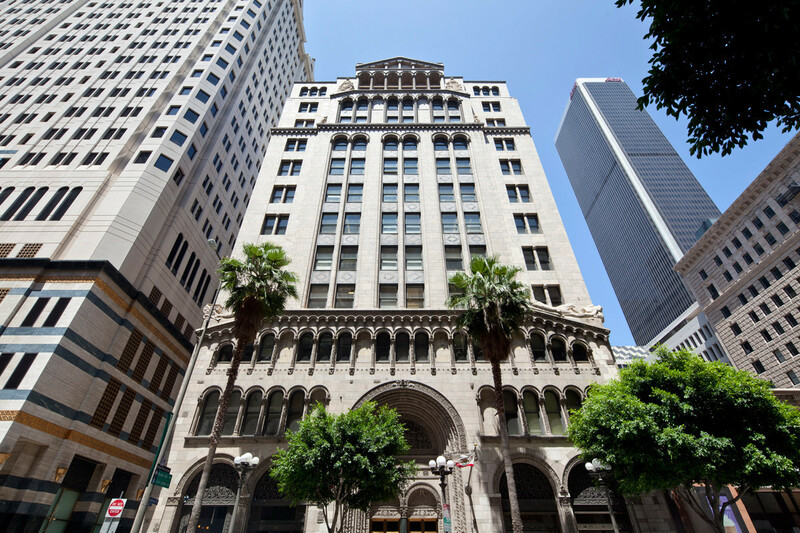 JEFF TABOR CONCLUDES LEASE RENEWAL/EXPANSION NEGOTIATIONS ON BEHALF OF WILSHIRE LAW FIRM! 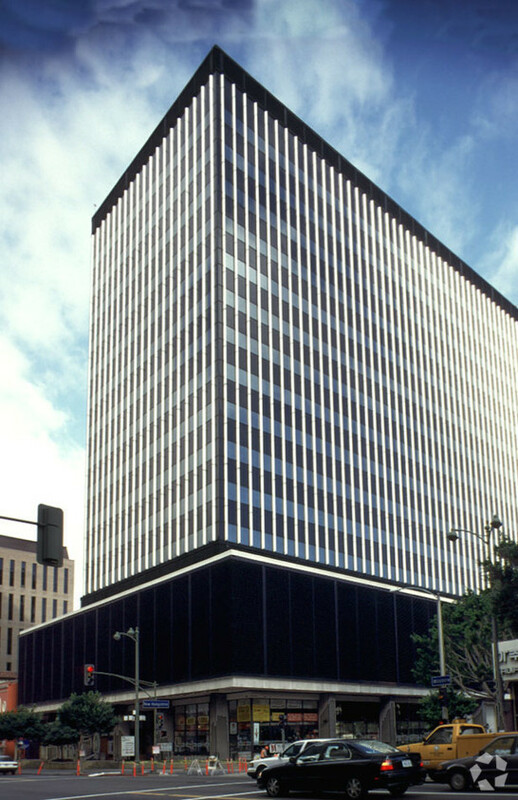 I am thrilled to announce that just today, we concluded lease negotiations on behalf of our valued client, Wilshire Law Firm, with the renewal and expansion of their approximately 24,000 square foot office space, located at 3055 Wilshire Boulevard in Los Angeles, California! 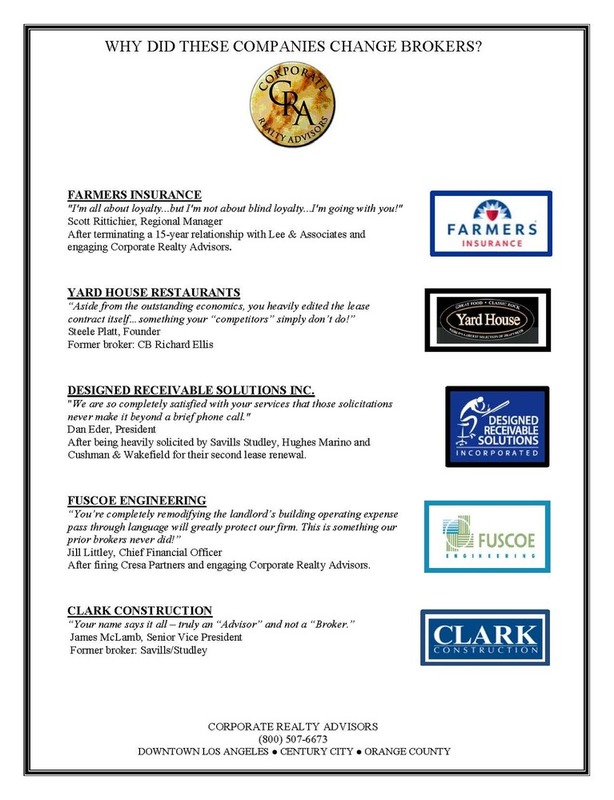 I wish to especially thank Bobby Saadian with Wilshire Law Firm for your continued trust and support! LIEBMAN, QUIGLEY & SHEPPARD HAS RETAINED JEFF TABOR...FOR THE FOURTH TIME! 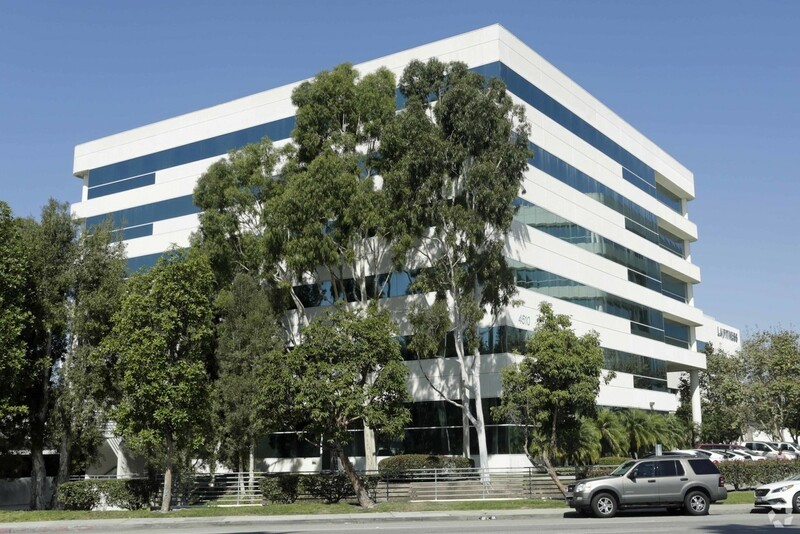 I am excited to announce that the prestigious law firm of Liebman, Quigley & Sheppard has retained me to represent them on their office lease renewal/relocation negotiations (for the fourth time) with regard to their large Los Angeles lease, located at 3255 Wilshire Boulevard! 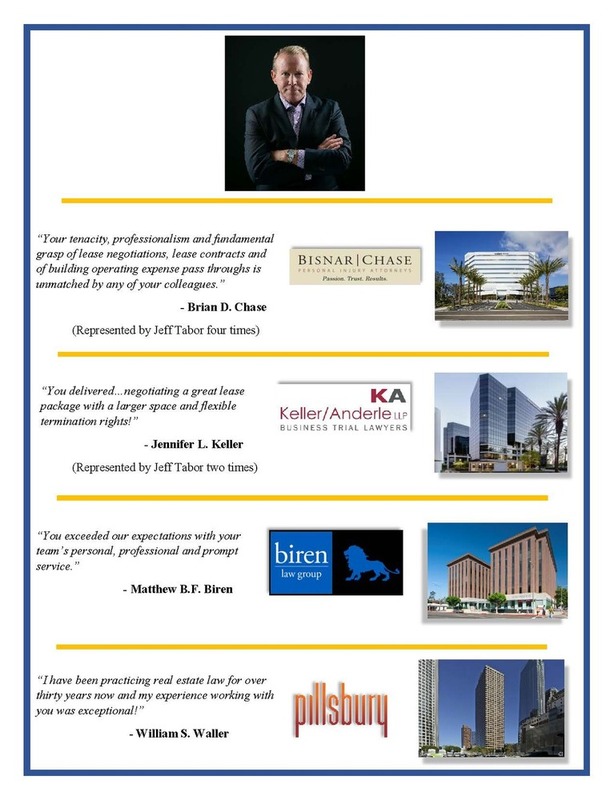 Thank you, Stuart Liebman, for your continued trust and support of our better tenant-only focused business model. Find hidden opportunities - save money - avoid mistakes.